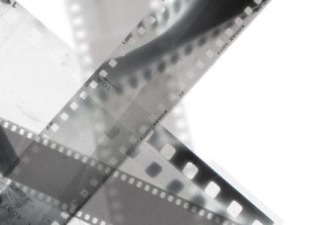 Mark’s five movement work for violin and piano, Five Memos, received a British Composer Award at a ceremony at the British Film Institute in London. 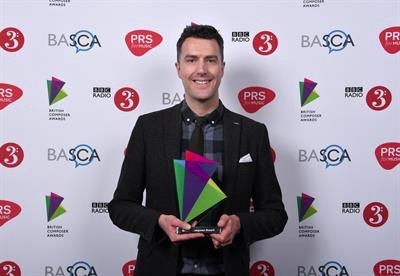 The annual British Composer Awards ceremony highlights the best compositions in the UK across Jazz, Choral, Sonic Art, Orchestral categories and beyond. You can listen to the ceremony on BBC Radio 3’s Hear and Now. Mark is co-leading a new project at Trinity Laban: the Creative Collective, a new opportunity for young artists looking to develop their own artistic work as composers and choreographers. Mark is working alongside choreographer Bethan Peters to mentor Creative Collective participants as they create new, innovative and challenging pop-up pieces that will be performed across Lewisham as part of the annual Lewisham Live Festival, and at the Tate Modern as part of the Tate Exchange programme. Mark’s work Five Memos has been shortlisted for the 2016 British Composer Awards. 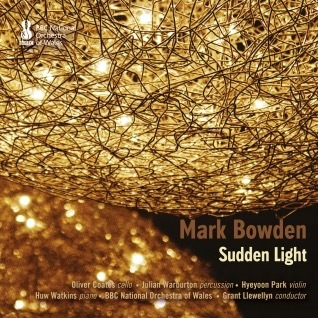 Mark's debut solo album Sudden Light was released in September 2016 by NMC. Available worldwide in all formats the disc displays Mark’s passion for orchestral writing and exploring its enormous timbral range. The intoxicating Lyra for cello and orchestra was described 'as a richly allusive work of considerable scope and ambition' by Seen and Heard International and was Mark’s first commission, as resident composer, for BBC National Orchestra of Wales. The solo cello part calls for a blistering technique and was written for Oliver Coates, who performs on this recording. Heartland, also commissioned by BBC NOW, was created as both a standalone percussion concerto and a ballet score for the National Dance Company Wales. The Times said that the work 'bubbles with fluid, spicy rhythms and pretty celestial ruminations ... watching Julian Warburton play it was a fascinating show in itself’. Sudden Light was inspired by Marcus du Sautoy’s book The Music of the Primes and explores the play of consonance and dissonance through the overtones of the harmonic series. As a contrast to the orchestral works on this album, Five Memos is a light, airy interplay between violin and piano, performed beautifully by Hyeyoon Park and Huw Watkins. To purchase the disc directly from NMC please click here. 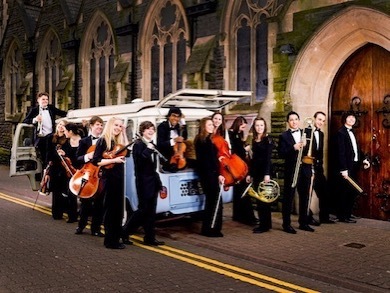 For the fourth year, Mark led the National Youth Orchestra of Wales Young Composers course this summer. For two weeks, six young composers from all over Wales worked closely with Mark to create new compositions which were performed by members of the orchestra. 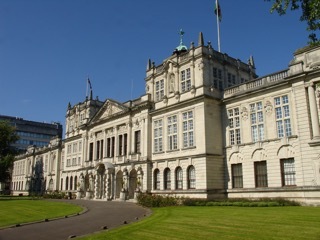 Concerts took place in Aberystwyth, Llandudno, St David’s City and Cardiff. To get a flavour of what happened on the course visit the NYOW Facebook page. Mark’s NMC Debut Disc is now available to preorder. The disc features three of Mark’s orchestral works: Lyra, for cello and orchestra featuring Oliver Coates, Heartland for percussion and orchestra, featuring Julian Warburton and Sudden Light, all performed by the BBC National Orchestra of Wales conducted by Grant Llewellyn. The disc also features Mark’s Five Memos, recorded earlier in the year by the violinist Hyeyoon Park and pianist Huw Watkins. For more details, or to preorder the disc, click here. In May, Mark visited the Red House in Aldeburgh where Benjamin Britten lived and worked for the last two decades of his life for a short residency. 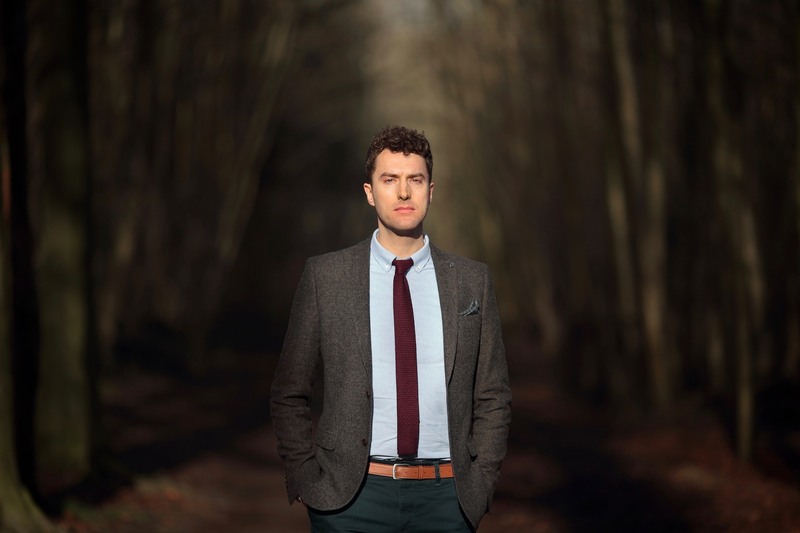 The Britten-Pears Foundation generously provided Mark with some time and space to undertake preliminary work and research for a new project with the novelist, poet and playwright Owen Sheers. Watch this space for further news! 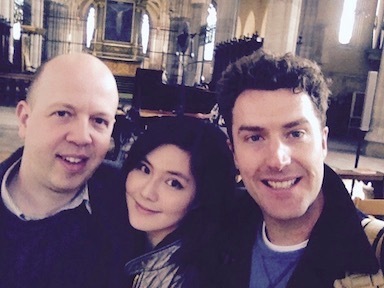 In April the violinist Hyeyoon Park and pianist Huw Watkins recorded Mark’s Five Memos for his forthcoming album as part of the NMC Debut Disc series. The recording took place in the beautiful All Saints Church, Tooting. The disc will be released along with recordings of Lyra, Heartland and Sudden Light in autumn 2016. 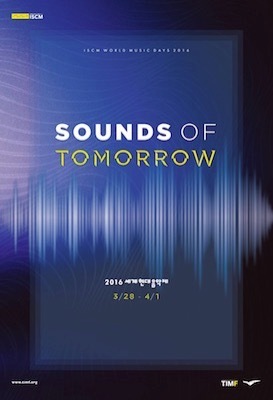 In April Mark travelled to Tongyeong in South Korea for the annual ISCM World Music Days Festival as part of the Tongyeong International Music Festival. The World Music Days Festival is organised each year by a different host and presents new music from all over the globe, showcasing the incredible diversity of musical practice in our time. Mark is the current chair of the British Section of the ISCM and represented the UK at the annual event. In 2016 the composer Patrick Friel had his work Once Upon An Alphabet for speaking pianist performed, which had been selected by the UK jury. Click here to see a short film about the 2016 World Music Days Festival. On March 5th 2016 Mark will be leading a day of workshops, concert and talks in Cardiff to celebrate a decade of CoMA's ground-breaking Open Score project. 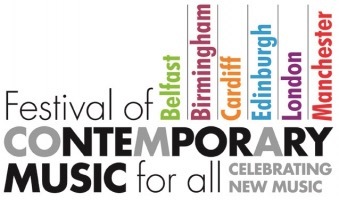 The Festival will be taking place in venues across the UK to promoting contemporary music created with a participative approach. Open Score is a way of writing artistically challenging yet technically accessible music for flexible ensembles with amateur players. 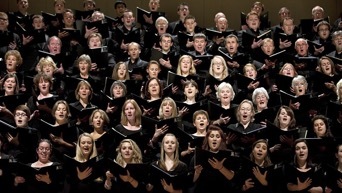 Workshops will provide opportunities for singers and players to actively participate in new music. A conference and discussions will explore the role and future of inclusive contemporary music making. Performances by leading professional contemporary ensembles, CoMA groups and youth ensembles will provide a wide range of listening material. Mark's choral work Far to the Northward Lying will be performed by Cardiff University’s Contemporary Music Group on Monday 1st March 7pm at Cardiff University Concert Hall as part of a project exploring vocal music by living British composers. In this concert a particular emphasis on Welsh vocal music continues the ensemble’s preparation for a recording project in June 2016. Tickets and further details here. Following Mark's trip to Argentina last year the BBC National Chorus of Wales recently premiered Mark’s Patagonia-inspired work We Have Found a Better Land as part of the British Council’s Patagonia 150 events. The concert will be broadcast on BBC Radio 3’s Afternoon on 3 on Tuesday 23rd February. Mark wrote an article for theartsdesk.com about the experience of travelling to Patagonia to research ideas for the music. You can listen online for 30 days following the broadcast. Mark's short work for solo saxophone, Parable, will be performed alongside other Sinfonietta Shorts by Anna Meredith, Tom Coult, Samantha Fernando and Jordan Hunt at Southwark Playhouse on Tuesday 9th February at 7.30pm. The pieces will be accompanied by films created by Central Saint Martins students made in response to the music through close collaboration with the composers and players. Further information here. Mark's piano trio Airs No Oceans Keep was recorded at The Menuhin Hall by the Fidelio Trio for NMC Recordings last year for Mark's forthcoming Debut Disc. 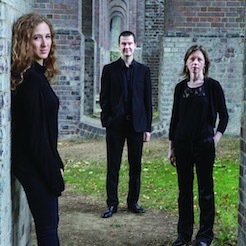 The ensemble has become closely associated with the work and will perform it at a special London Music Masters fundraising concert on Tuesday 19th January 2016. For further details click here.